Inspire your children’s curiosity and love of British wildlife. Wild Academy workshops are perfect for children to get outdoors and explore nature in a fun and interactive way, during the school holidays. Each 2-hour workshop will focus on wildlife, the environment, nature and habitats, explored through games, crafts, experiments, stories and outdoor activities. 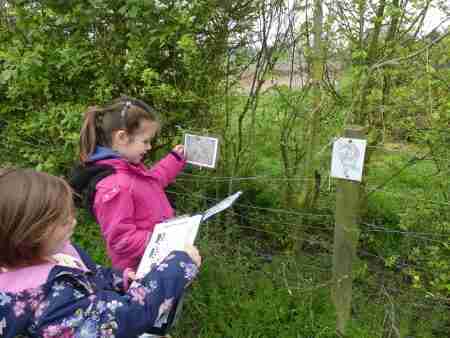 Children will discover what they can do to protect our wildlife and the habitats they live in. All children are welcome, best suited for children age 5-11 years old. Children must be accompanied by an adult. Advanced booking is essential so book your place today! £6 per child. Ticket price includes a drink and biscuit, and a hot drink for the adults. Please dress to suit the weather – wrap up warm or bring sun hat and sun cream. Waterproof clothing and shoes are essential.